Reasons why JIRA Agile Users chose the intelligent Kanban Board. No setup hassle. No complexity. Blossom comes simple out of the box and will always be lightweight & easy to use. We deeply care about great user experience and a smooth day-by-day workflow for every member on your team. Invite marketing, sales, business development, customer support and every other involved stakeholder to collaborate directly with engineering, user experience & design. 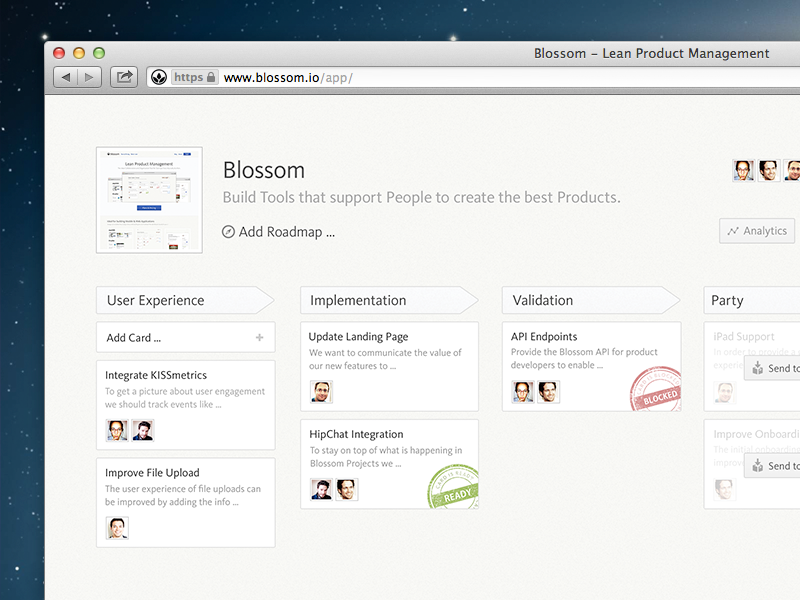 Blossom is built with everybody on your team in mind. A lot of work on software projects happens away from your project management tool. GitHub is one of those places where a lot of value actually gets created. This is why we’ve built a very tight integration with GitHub so you don’t have to manually update your coding progress all the time. Blossom understands feature branches and pull requests and keeps everyone in the loop. 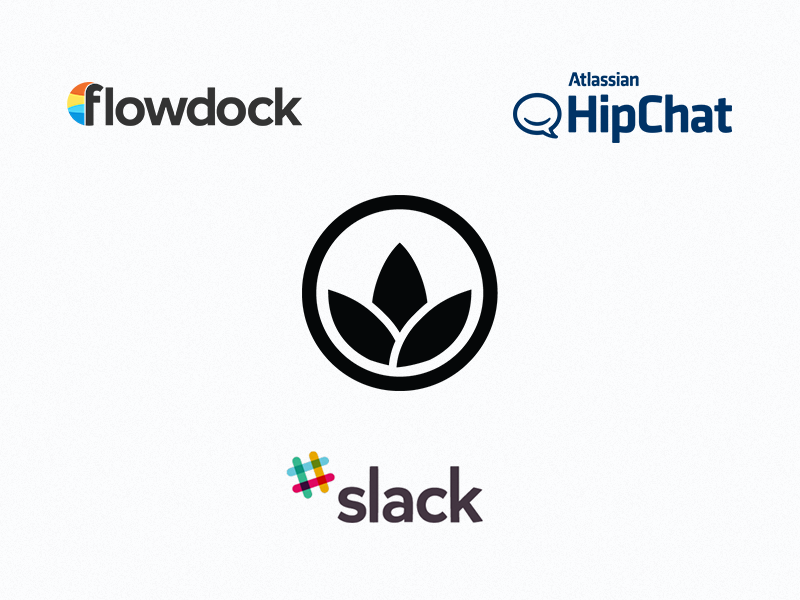 Our integrations with HipChat, Flowdock and Slack are very seamless ways to get informed about important things in times when you are away from Blossom. Every time something important happens inside of your project on Blossom it will also get posted to your team's group chat.